We were contacted via Facebook yesterday by a female student from Kanlayanee SiThammarat school. The is a student in the English Programme at the school. She informed us that, despite the her promises, Phasuk is still hitting children with a cane. She did not say if this was in the Thai Programme or the Kanlayanee School English Programme (KNEP) but that is irrelevant. If the teacher is abusing children then ALL children at the school are placed at risk. We are contacting the school (again) but expect another cover up by the school administrators who seem to have little interest in the welfare of their students. We remind Phasuk and Mayuree Karikarn that hitting children is illegal and is child abuse. Why? Becasue Thai law says so! Mayuree Karikarn is the Head of the English Programme (EP) at Kanlayanee Si Thammarat school. She contacted us after we exposed the illegal hitting of kids in the school by a female P.E teacher Ms Phasuk. As with so many teachers, heads of departments and school directors (principals) her only concern (as she says herself) is the good name of the schools. The welfare of the children in their care comes a distinct second place. As far as we are concerned school employees who attempt to cover up, or protect, abusive teachers are equally guilty of that abuse. Below is the transcript of our conversation (held on a messenger service not vocally). Kanlayanee SiThammarat school has two separate preogrammes; the Thai Programme (TP in the conversation) and the English programme (EP). Ms Karikarn is the head of the EP (only). However both are part of the same school and share some teachers. Ms Karikarn is abbreviated to MK and our responses are marked as TT. The bold sections have been added here and were not bolded in the original conversation. MK – Hi, I need to talk to you. TT – yes, please use the open profile for discussion. MK – this conversation should be in private. TT – no thank you. MK – That is unfair. TT – beating children is unfair and ILLEGAL. MK – you claims that our teacher is abusing students and putting pictures on ur profile. MK – Then prove it. when. how? MK – first thing you shuold do is to learn how to pronounce her name correctly. MK – of course i know this teacher.. i don’t recognize her name that you stated but i recognized her picture. I am not telling you what to do it’s your life your decision her I am talking to you cos I need to protect EP cos I am the boss here I am doing my job why don’t you take care of our businessss? TT – Is it your job to protect child abusers or to protect the children in your care? TT – Are you saying that “protecting your business” is more important than protecting children????? TT – We are aware that the EP does not hit children but EP and TP is the same school. MK – what is TP? we are EP not TP. TT – the law is there to protect ALL children not just those in the EP. Yes I know, read what I said, you are EP. MK – but the picture of a teacher shown in ur profile teaches for us too. TT – and kids in TP are the ones who get hit but it is the same school and the law is there to protect ALL children equally! MK – please tell me what TP stands for. TT – I know but she is not permited to hit the kids in the EP we know that. TP = Thai programme. MK – still she teaches our students too. TT – and she does not hit the kids in the EP? TT – why the double standards? it’s the same school and the school is employing a teacher who breaks the law. If she is your friend why not tell her to STOP? MK – it’s ok. up to you. Ill just put information on the open profile that she doesn’t hit EP students. TT – I am aware that you are not a child beater but it is the schools responsibility as a whole to ensure they do not employ teachers who break the law. MK – if you don’t care about EP students then you have double standards too. TT – We care about all children equally, unlike you. TT – so you admit she hits TP students then? MK – I am not saying she hits students. TT – but you just did! TT – I just asked one of the students from you school as I want to be sure. Would you like to see her reply? TT – Here is her reply FYI. “Sure it’s only TP still beat the student. They beat primary Mathayom but just a few teachers do this not all. The teacher who hit the students, her name is Phasuk ( female) but the majority of teacher hate the teacher who hit students. At this point Mayuree logged off and refused to discuss futher despite us sending her the rest of the evidence we have. Kanlayanee Si Thammarat school is located in Nakhon Si Thammarat in Southern Thailand. We understand that some (a minority) of the teachers at this school regularly hit the students, especially those in the younger primary age groups. 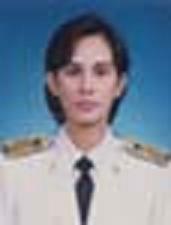 In particular one female teacher, Ms Phasuk (นางผาสุข ถาวร) a P.E teacher at the school. We are told that the majority of teachers do not hit the children, and indeed that they hate the teachers who do this. However they refuse to do anything to stop it and, in our opinion, this makes them equally guilty by association. We are also told that the beatings only occur in the Thai Programme and not in the English Programme of the school. However the two programmes are part of the SAME school and therefore, in our opinion, equally guilty for refusing to protect ALL the children in the school. The school organises regular student exchange schemes to the USA and we are currently finding out who the agencies are in the USA and will be notifying them accordingly. PE teacher Ms Phasuk works at Kanlayanee school in Nakhon SiThammarat, Thailand. She has been reported by several students, plus some former students, at the school plus two sets of parents for allegedly hitting primary school children with a stick. She originally denied this but eventually admitted it, apologised, and said she will stop with immediate effect. The most alarming thing is that even AFTER she admitted it, other teachers at the school continued to claim she does not do this. It is very worrying that teachers will attempt to defend a child abuser. Their loyalties should be to the welfare of the children, they should never be loyal to an abusive teacher regardless of whether that teacher is their friend. We were contacted by a female student from the English programme yesterday, 19th July 2011. She informed us that Phasuk is still hitting children despite her promises to stop. She did not say whether this was in the Thai Programme or the English programme but that is irrelevant. This teacher is an habitual abuser and all the children in the school are in clear danger as long as she is teaching.